Grandbury and Winni met so many new friends as we strolled through Black Mountain today. Grandbury loves his new stroller. Contact us for ordering information, you’ll soon be able to order them through 24Paws.com! 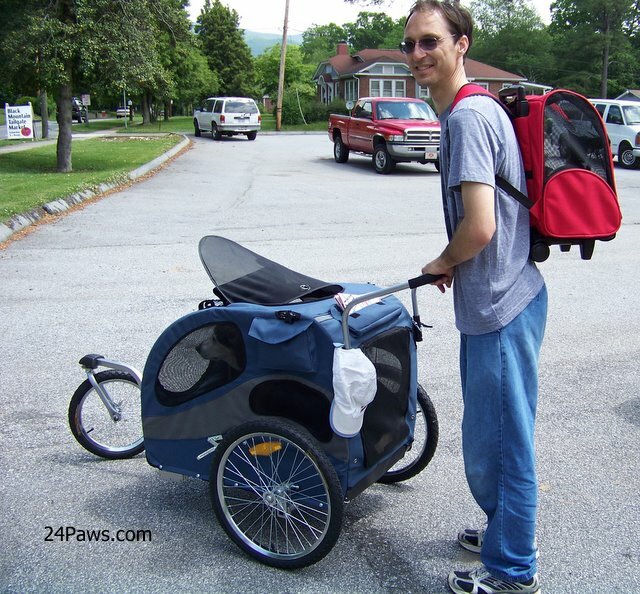 This is the large stroller cart that accommodates a dog up to 110 lbs. At 50 lbs, Grandbury fits just fine and has plenty of head room to turn around and sit comfortably. We made a stop at the Black Mountain Tailgate Market. 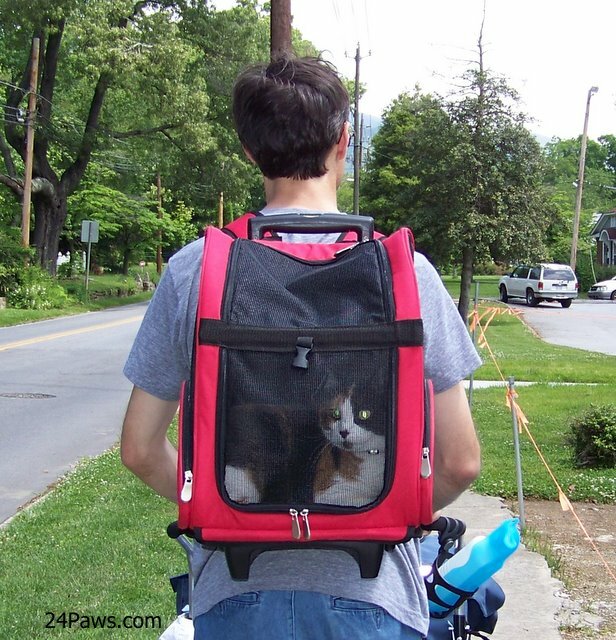 Travelin’ with your pets? 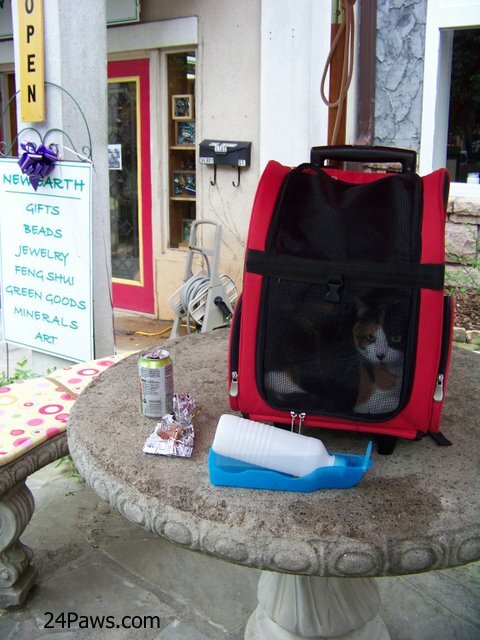 Don’t be shy, grab a leash (or your carriers or strollers) and stop in. Handmade locals items range from coffee and chocolate to plants and jewelry. There are so many great stores to visit when you trek downtown Black Mountain, North Carolina. Grandbury sampled some tasty treats at Bone-A-Fide Bakery & Pet Boutique. Nothin’ better than a little treat and rub for the pooch. Winni sat by wondering where her little nibble was. One pooped pooch and kitty. We all certainly had a great time meeting everyone today. 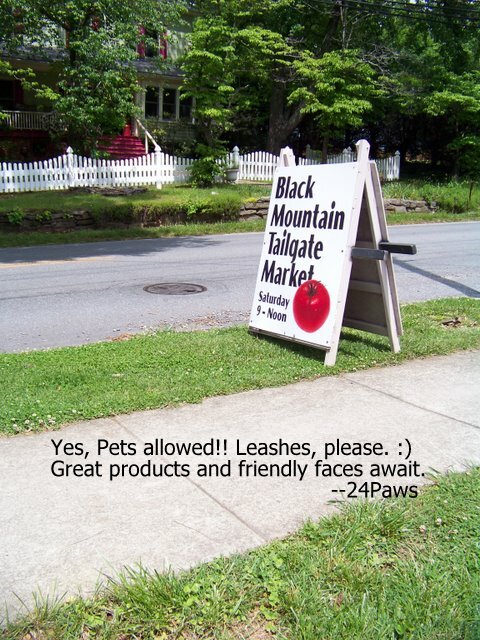 Black Mountain, North Carolina is a pet friendly community that awaits your visit. 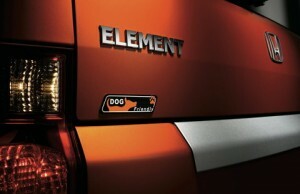 We told you about the new 2010 Dog FriendlyTM Honda Element back in April, and now we can report that you’ll be seeing it at your local dealership on November 16, 2009. More information from the American Honda Motor Co., Inc. 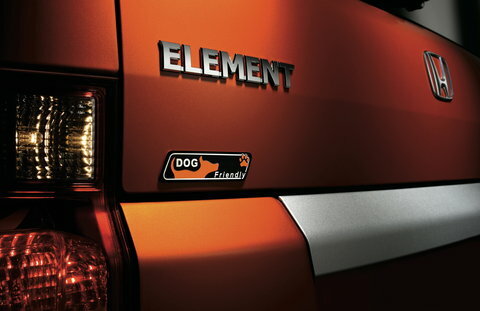 The Dog Friendly equipment group is designed exclusively for the Element EX trim level and can be adapted to the Element LX trim level with the addition of a dealer-installed rear accessory power outlet for the rear ventilation fan. Engineered to integrate with factory precision into the Element EX, the Dog Friendly equipment is intended to accommodate the secure transportation of a dog in the cargo area within a nylon-webbed car kennel. In daily operation the car kennel helps prevent a dog from interfering with the driver in traffic by keeping the pet properly restrained and out of reach of the driver. 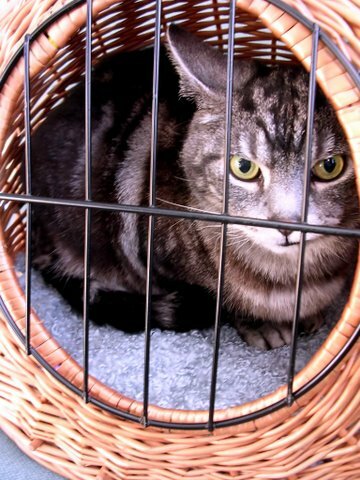 In the event of a frontal collision, the kennel is intended to help restrain the dog behind the rear seats, reducing the chance for the pet to be injured – or to injure human occupants during a crash. 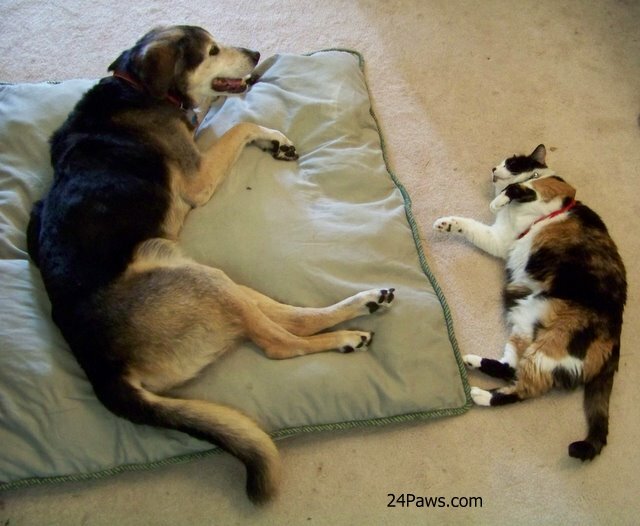 The Dog Friendly equipment enhances pet comfort by providing a soft floor surface for the dog’s legs and paws along with a dedicated fan and a spill resistant water source. 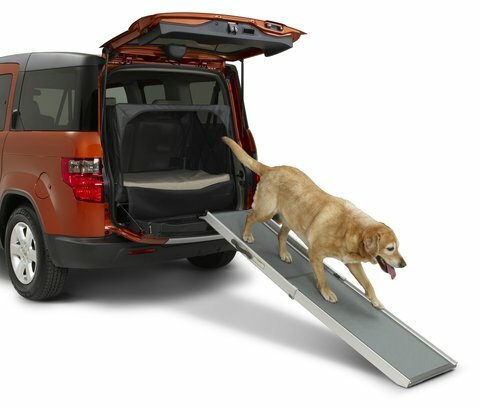 Convenience is improved for owners with an integrated ramp, easy to clean surfaces and a full suite of matching Dog Friendly accoutrements. We love the color of the car in the photo (it is orange, after all)! We look forward to checking it out locally to get the feel of it ourselves. What do you think? Does it offer enough safety features? 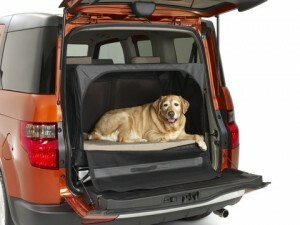 Is there something you would like to see in the canine car of your dreams? What suggestions do you have? Photo credits: American Honda Motor Corp., Inc.